This game, also known in Latin-American countries as the cup game, it’s a board with numbers and letters that according to rumors, allows the communication with dead people. It was created by the end of 19th Century, when the spiritual world becomes popular in Western. The name “Ouija” comes from the French word “oui”, and “ja” from German language. Both mean yes. This table has as objective the people that play this game can contact souls in torment, spirits, and even aliens. 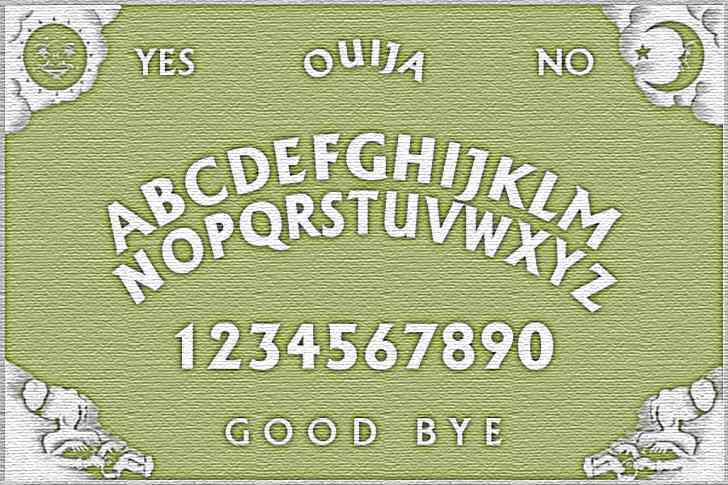 On the basic Ouija board we can find the entire alphabet’s letters drawn or marked, numbers from 0 to 9 and the YES and NO marked in a special place. Depending on the person who practices this oracle, these characteristics could change, because most players used to add phrases in order to shorten the message’s time and ease the session. As a guide to get the answers, a clipboard in a triangle or arrow shape is used. It can be also used any object that fulfils the function of a pointing. It must be taken into consideration that an Ouija’s session could be traumatic for those who are involved if this hasn’t been lead for a subject matter expert, due to this person can calm the excitement and mood of participants. Usually a quiet room is used to practice it, though the boldest people prefer to practice it in more fearful places like abandoned houses or cemeteries. In order to practice this oracle, a minimum of four participants must seat around a table. People who are going to participate in the session must feel confident because they could be affected if they experience a certain degree of fear or just take it as a hobby due to they could be dominate by the spirit with which they make contact. Before start a session, different types of rites are often done. These range from burning incense or aromatic plants, invoke angels or guard saints, to make a circle of power to fill the place where the session will be done with positive energy, avoiding bad influences. After all the participants feel relax and confident, the session starts. Consecutive, the first question is made: is someone there? If the answer is affirmative, the subsequent questions are made to the contacted entity. The clipboard or object that has been chosen as pointing will be the one which is going to provide the message, passing over letter by letter, number by number, etc. Sometimes the contact isn’t real, but any of the participants moves the pointing mentally, consciously or unconsciously, creating or distorting the message. This is why an expert must be in the session, because he/she will bring a diary where he or she will have written all the incidents during the session, and will consult in the case of a doubt or contact with different entities. Ouija board contains many mysteries so, many people use to consider it as a scam, that it’s a cursed table because many dark stories about this game exist; stories that have spread fear and horror within those who participate in the session, unexpectedly radiate them. The truth is that the veracity of this game depends on the faith placed in it, knowing Ouija has to be taken seriously. 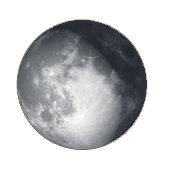 If this oracle is played as a game, don’t feel afraid or doubtful because in many cases suggestion overcomes reality. In fact, many entities that are contacted by this oracle used to be disembodied spirits that want to communicate with a familiar; elemental forces; lower astral forces that come from the Ouija board, but not so dangerous like the danger that lives in our minds.